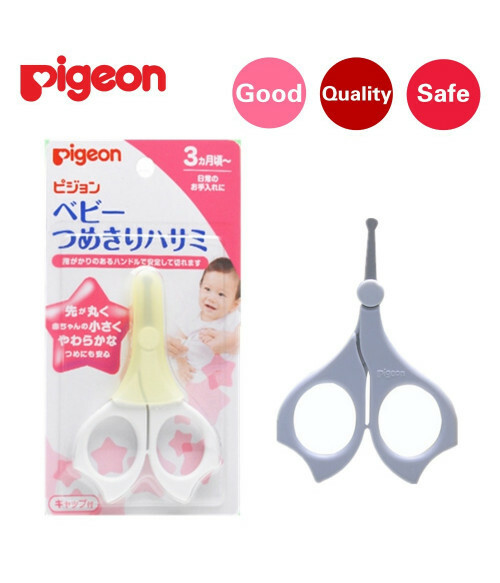 Rounded ends of the blades are safe for cutting small newborn’s soft nails. 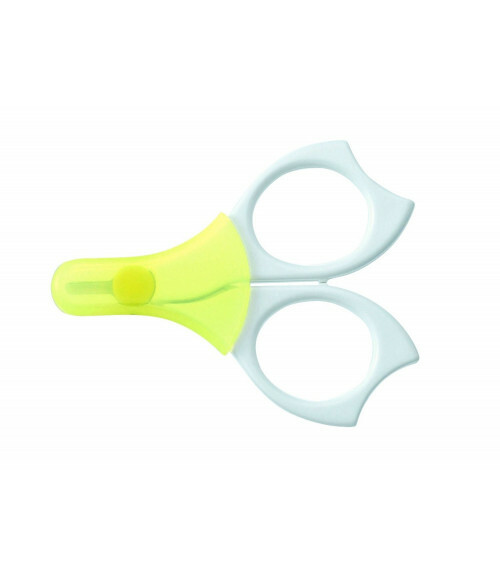 Comfortable steady handle helps for a reliable hold on the scissors with 3 fingers. Handles are made of antibacterial materials. Every time after using, wipe the blade with a tissue. We love these scissors. 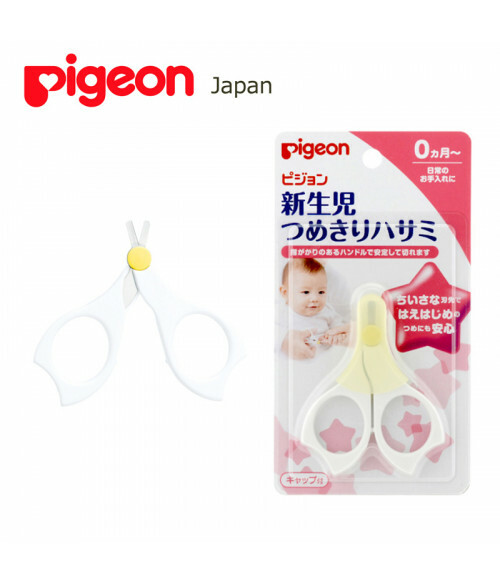 They are easy to hold and cut smoothly. They are small but no issues with average adult size hands. 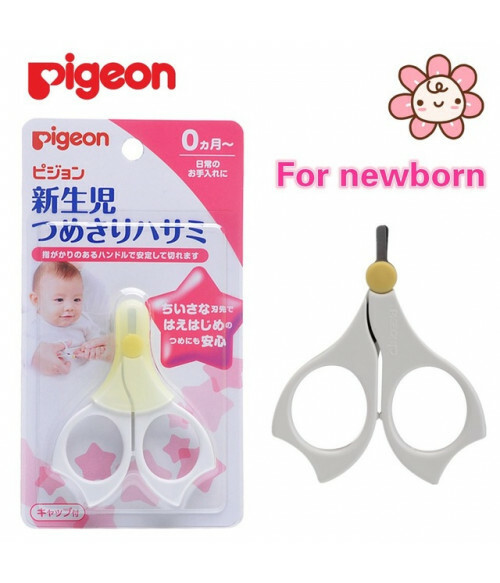 Always nerve wracking to cut baby fingernails but these scissors have made it so much easier. We continue to use this even now with our almost 3 year old. Both my kids recognize the scissors and do not fight nail cutting. So easy and makes a clean cut. Nice cover over the blade as well. Good and useful. Very convenient for nose cleaning.